Kai agrees to play a high-stakes game of chess with Prince. If Kai wins, Prince will unite the spirit and body of Kai into one. If Kai loses, Stan and Xev must forfeit their lives. 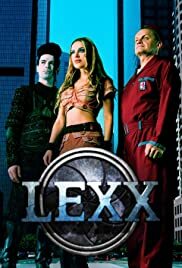 How many episodes of Lexx: The Dark Zone Stories have you seen? Xev Bellringer: The Brunnen-G discovered eternal life, but they all died. You were the only one to survive. Kai: I did not survive. Q: Do different versions of the episodes exist? The series is enjoyable for its darkly entertaining sci-fi themed fetishist nature. It isn't meant to be deeply thought provoking in the normal sense, it is designed to be outside the box and provide an alternative to Kevin Sorbo firing blasts at everything. 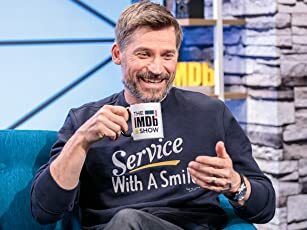 I enjoy it thoroughly for the mere fact that it does not follow normal conventions for a science fiction show and it dares to write story lines that appeal to the subcultures of sci-fidom. The plot is not the most inventive, but the banter and atmospheric situation of the show makes for a very enjoyable watch, especially late night when it normally airs. i highly recommend it to people who like science fiction that thinks outside normal sci-fi convention.